What has Born and Raised given since 2007? Born and Raised Detroit Foundation has partnered with various organizations to support and strengthen the foundations of Detroit. We have granted over hundred thousands of dollars, and is our hope that the youth will be proud to say they were Born and Raised in Detroit. Below is an abstract of each nonprofit and the impact that we have made with each organization. The goal of Racquet Up Detroit is to create a new path to education and opportunity for young Detroiters. Accomplishing this through mentoring program of squash, academics, and community service, this group has had a tremendous impact on Detroit’s community. Because of your support, we were able to provide funding to send the Racquet Up students to summer squash, art, recreation and academic camps. The best part? The students get to choose which camps they would like to attend! Beyond Basics is a committed to raising children’s reading proficiency scores in disadvantaged neighborhoods by getting children reading at grade level or above in 6 weeks. Because of your generosity, we were able to provide tutor support to help 30 children accomplish the goal of reading proficiency. By teaching a child to read, you not only are expanding their horizons, but preparing them for a productive future. Work of Art receives requests from teachers looking to integrate art education into their classroom curriculum. Due to budgetary and programming cuts, decreased funding for arts is a widespread issue in the school system. By funding art supplies to a classroom, students have an additional outlet to better understand academic subjects, but also build critical thinking and communication skills. Increased funding to the arts give students access to a well-rounded learning experience within the classroom. Michigan is fondly referred to as “The Great Lakes State” as we have countless bodies of water and amazing recreational waterfronts. Sadly, many children in Detroit are not able to take advantage of one of our state’s great assets because they do not know how to swim. The drowning rate of children in Detroit is three times greater than a child in a rural setting. 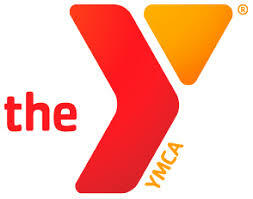 Because of your support, we have been able to provide swimming lessons for 30 children through Detroit Swims. With these life skills, Detroit-based kids will be able to safely enjoy our many gorgeous lakes and rivers, as well as understanding the importance of outdoor activities. Downtown Boxing Gym Youth Program (DBG) opened its doors in 2007. Since that time, Khali and his team have provided a free, after-school, safe-haven for Detroit youth between the ages of 8 and 18. From humble beginnings in a former car wash with only a handful of students, DBG has grown to currently serve 150 boys and girls, in a renovated printing press. The philosophy behind our motto ‘Books before Boxing’ has encouraged over 250 high school graduates and continues to help maintain our 100% high school graduation rate. 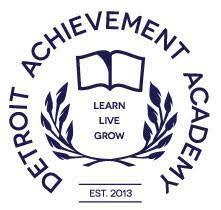 Detroit Achievement Academy (DAA) is a free public charter school currently serving kindergarten through sixth grade students. Serving 140 students and adding a grade level each year, they are using the best educational model, encourage creativity, and instill the importance of education in the kids. Excellence is expected in the quality of their work and thinking. School leaders, teachers, students, and families share rigorous expectations for quality work, achievement, and behavior. Thanks to attendees at Born and Raised Detroit events, we were able to provide a bus route to bring more students to DAA. We’re on a mission to provide Detroit’s young people with tools they can use to succeed at school and life. The Improv Project offers these young people tools to tell their story. For $170 in tuition, their students develop the ability to collaborate, listen to others’ views, build literacy skills, and learn to take risks in a safe, supportive setting. Their teachers tell us these young improvisers attend school more regularly, engage in class, and achieve stronger academic growth than their peers. ChildSafe Michigan and Judson Center believe that they can change the lives of disadvantaged children forever by providing them with the opportunities to live in a safe environment, fully participate in a family life that is supportive, nurturing and provides a place to grow so they can successfully transition into adulthood. The mission of the Horizons-Upward Bound program is to prepare students from the Detroit Metropolitan area with limited opportunities to enter and succeed in post-secondary education. HUB works with students in creating and pursuing their dreams and goals for not only high school, but beyond. HUB wants to make sure each student is academically and socially prepared to achieve their dreams and goals. Alternatives For Girls helps homeless and high-risk girls and young women avoid violence, teen pregnancy and exploitation, and helps them to explore and access the support, resources and opportunities necessary to be safe, to grow strong and to make positive choices in their lives. AFG accomplishes this mission through three key services: AFG Prevention, the AFG Shelter/Transition to Independent Living Program (TIL) and AFG Outreach. Reaching Higher is an evidence-based curriculum that provides life skills training to young people through partnerships with schools, youth organizations, and faith-based institutions. The mission of the Ruth Ellis Center is to provide short and long-term residential safe space and support services for runaway, homeless and at-risk lesbian, gay, bi-attractional, transgender, and questioning youth. Midnight Golf seeks to improve under-served young adults’ personal development, educational preparedness and appreciation of the game of golf. Summer in the City describes itself as a “do-ocracy” where people from different backgrounds can come together to invest their creativity and compassion into their central city. Holy Cross Services (HCS) is a Catholic organization whose mission is to bring hope, promote change, and help children and adults live free, healthy and productive lives. The mission of this organization is to live in a world free of abuse, neglect, trauma and addiction. The Historic Music Hall provides Southeastern Michigan with high quality performing arts programs and education that reflect the diverse mix of cultures that make up our community. Music Hall is Detroit’s “People’s Theatre”—the place for high quality but non-elitist performing arts and education with an emphasis on dance, theater and music, particularly jazz.